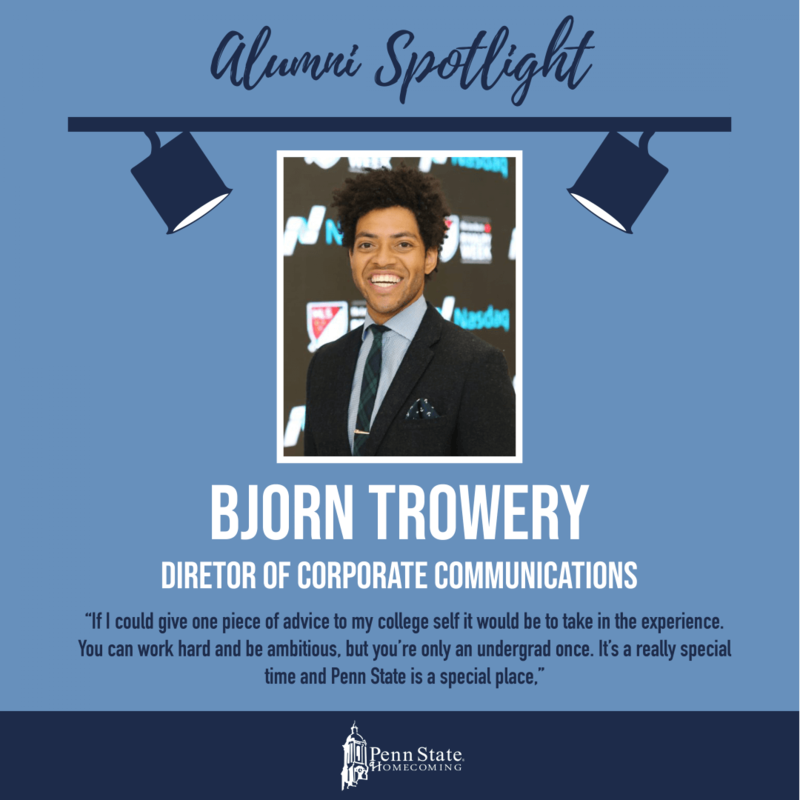 Bjorn Trowery graduated in 2008 with a major in public relations and minor in sociology. Fast forward 10 years and Trowery now works in communications, leading brand public relations and corporate communications for HEINEKEN in the U.S. Reflecting on some of his fondest memories, Trowery can recall his first time visiting University Park for the first time on a cold, dark and stormy day. “I was 17, trying to decide where I wanted to go [to school]. Everything I saw that day seemed to be the exact opposite of what you’d hope for during your first college visit experience, but the people I met and the impressions they left with me made a huge impact, and I knew that day the search was over,” Trowery said. Trowery wasted no time getting involved and making his mark here. He could always be found playing volleyball, mentoring, studying, or plotting adventures with friends. “[If I could give one piece of advice to my college self] it would be to take in the experience. You can work hard and be ambitious, but you’re only an undergrad once. It’s a really special time and Penn State is a special place,” he said. Of course, Trowery could never make a return to Penn State without visiting one of the most iconic PSU landmarks, the Penn State Berkey Creamery. “My go-to at the Creamery is strawberry mixed with cookies and cream. Don’t @ me,” said Trowery.